Most Christians believe we are to help the poor but how are we to make good judgments on who to help and who not to help? Are there Bible Scriptures that tell us just how we can help the poor and what we can do to help them? Jesus spoke about the “poor in spirit” and pronounced a blessing on them. Is Jesus talking about the financially poor? In Matthew 5:3 He said, “Blessed are the poor in spirit, for theirs is the kingdom of heaven.” The poor in spirit may be those who are despised in this world, they are looked down on by many; they are humble, contrite people. The poor in spirit are blessed because they are small in their own eyes. Since God resists the proud, He gives grace only to the humble (James 4:6). The poor in spirit are not those who are not prosperous necessarily, but those who consider others better than themselves. They are broken over their sinfulness. Christians need to love one another and we should help those who are in poor spirits too but to be poor in spirit is not to be poor financially, although that could be part of it, but it is to be meek and humble. A great definition of meekness that I heard is strength under control. The truth be told, Christians are simply one beggar who has received the Kingdom of Heaven, giving it to another beggar who as yet is outside of the Kingdom. It is hard to discern who to help and who not to help, but even in Israel’s infancy, “There will always be poor people in the land. Therefore I command you to be openhanded toward your brothers and toward the poor and needy in your land” (Duet 15:11). When Jesus fed the thousands, He did not first check to see if they would be His disciples. He did not require them to come to Him for salvation. He simply filled a need by filling empty stomachs. Feeding the poor does not define the Christian; it is part of being a Christian. The man who stands on the street with a sign that reads, “Will work for food” may not be served best by giving him money. Perhaps he is sincere but how do we know that he simply wants to receive money so that he can continue his addiction to drugs or alcohol. The fact is that only God knows. I heard of one pastor who stopped and invited one man with such a sign to breakfast and when the man went with him to eat, the pastor asked him if he would like to mow the churches lawn for money. The man refused and said that he could not take the heat. Did the pastor do the right thing? I believe that this man gave the unemployed man the benefit of the doubt, but when he offered to provide a short-term job for money, the man refused. Sometimes giving out a gift certificate for a meal is better than giving someone you don’t know money because you may be enabling their addiction and their unwillingness to work for a living as the Bible commands (2 Thes 3:10). There are also times when God will send a person troubles like losing their job, their home or their car in order to make them come to Him for help. The purpose of some trials, including poverty, can drive us to our knees and create in us a desire to come to God for help. God actually wants us to depend upon Him and so He may send problems and difficulties to break our pride and bring us to the end of ourselves and to seek His help. Christians are commanded to help one another but we are also called to help those who are less fortunate than we are. Proverbs 21:13 is among the most powerful calls from God to help those who are hungry because “If a man shuts his ears to the cry of the poor, he too will cry out and not be answered.” First John 3:17 states that, “If anyone has material possessions and sees his brother in need but has no pity on him, how can the love of God be in him?” Job wrote, “I rescued the poor who cried for help, and the fatherless who had none to assist them” (Job 29:12). God asked, “Is it not to share your food with the hungry and to provide the poor wanderer with shelter when you see the naked, to clothe them, and not to turn away from your own flesh and blood” (Isaiah 58:7)? We also need to “Speak up for those who cannot speak for themselves, for the rights of all who are destitute. Speak up and judge fairly; defend the rights of the poor and needy” (Prov 31:8-9). In fact, “The righteous care about justice for the poor, but the wicked have no such concern” (Prov 29:7). Jesus gave a startling wake up call to all who would profess their belief in Him in. When Jesus comes to the earth and judges between the sheep and the goats, “Then he will say to those on his left, ‘Depart from me, you who are cursed, into the eternal fire prepared for the devil and his angels. For I was hungry and you gave me nothing to eat, I was thirsty and you gave me nothing to drink, I was a stranger and you did not invite me in, I needed clothes and you did not clothe me, I was sick and in prison and you did not look after me.’ They also will answer, ‘Lord, when did we see you hungry or thirsty or a stranger or needing clothes or sick or in prison, and did not help you?’ He will reply, ‘I tell you the truth, whatever you did not do for one of the least among you, you did not do for me‘“ (Matthew 25:41-45). Sodom sinned the sin of not helping the poor as they were “arrogant, overfed and unconcerned; they did not help the poor and needy” (Ezk 16:49). Being a Christian means to be Christ-like. Not only those who profess Him as their Lord and Savior, but those who possess Him in their actions. We can profess and even confess Him, but unless we possess Him, He is not our Lord. As has been said, if He is not Lord of all, He is not Lord at all! If you decide to help the poor, the Salvation Army is one of the best charities there are in the world with over 95% of donations going directly to services that help the poor. This organization’s founder, William Booth, said that feeding the hungry, clothing the naked, and sheltering the homeless was part and parcel of the Gospel of Jesus Christ. William Booth did not just talk the talk but he walked the walk of Christ. This man is an inspiration to me and he has brought, some estimate, millions to faith in Christ by feeding them, clothing, them, and sheltering them. He did not insist that they first must believe in Christ. He did not demand their being born again. He never tied salvation to anything he ever did for anyone. He may be one of the richest men in heaven today, for he stored up treasures there that may be uncountable. He gave to the poor because that is what the Bible teaches…it is what Jesus taught, and it is what we as believers ought to be doing. Jesus said, “And if anyone gives even a cup of cold water to one of these little ones because he is my disciple, I tell you the truth, he will certainly not lose his reward” (Matt 10:42). Someday when you see Christ and receive your reward, you might be pleasantly surprised to hear that, “The King will reply, ‘I tell you the truth, whatever you did for one of the least of these brothers of mine, you did for me’ (Matt 25:40). Will you consider being a doer of what you have read today and help the poor? There are many great agencies to do this and one of them is Compassion International. Jeff, thank you so much sir. I look back at my early life with no father, a mother who didn’t want me, and growing up in poverty and today I feel the most blessed of all men on earth. Who is richer indeed who has friends and may be called a friend by Jesus Christ. What greater riches in the world than to receive eternal life and what do I have (home, family, friends, church…above all Jesus) that I did not receive? The answer is…nothing! God bless His Holy Name and forever may I glorify Him forever and ever, amen. Thank you for this easy to understand article Jack! You have gift my friend! You cover many key points in this article. I am living proof today of how God sends troubles to make us come to Him. I am almost done with going through a divorce that I did not want. I won’t go into details but I tried literally everything that I possibly could to draw my wife back to me. She isn’t listening to God, though, and has fallen to the devil’s snare. I am much closer to God through this huge trial and I can say that without God, I would be a train-wreck right now. All praise to our Almighty Father! I have no doubt in my mind that the blessings that have come my way since I recommitted my life through this trial were all set in place by our loving and gracious Father. May all praise, glory and honor be His forever!!! Thank you so much Derek. I am sorry for your trials and divorce but imagine that we get the high privilege of attending another wedding feast. That Great Day of the Marriage Supper of the Lamb of God Who will be joined with His Bride, the Body of Christ. A bride that deserves nothing but gains everything…and is another testament to the glory of God and His supreme goodness to the sons of men and daughters of women. And what a great feast it will be! All of the saints and Jesus Christ together forever!! I can’t wait for that glorious day! I really enjoyed the article on the poor. 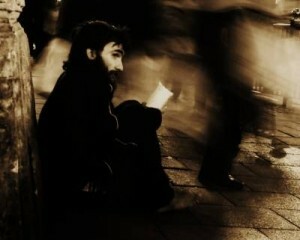 Considering what scriptures tell us there is not enough attention given to the widows, homeless, and the starving. Is it possible to get a backlink from your site to mine. I am new at blogging but not writing. I write articles concerning the Word of God most every week. I am still working on the Link Building area on my site. and then a link back to this site. I appreciate your asking because some post material illegally and your seeking permission tells me much about you sir. Thank you As long as you put no more than the introduction above and then a link to this website article, it is fine. God bless. Thank you so much Mabel. May God richly bless you as well. Thank you so much. I agree. When Jesus fed the crowds, He didn’t demand that they join the church, follow Him, or agree to be saved. Thank you sir. Part of your message was cut off at the end. may you please clarify the matter regarding tithes. must it be paid at the church or it can be also be paid to the Non Profit Organisation like ministries that look after orphans? Before you give to any ministry for the poor, first check with them because there are many who are just stuffing their pockets and have CEO’s with salaries in the millions! By the way, I believe we should tithe to the church also. I get no salary for pastoring my church and have to work as a janitor to support myself since many in my own church don’t believe in tithing. As a lifelong atheist I really like the quote in- Proverbs 21:13 is among the most powerful calls from God to help those who are hungry because “If a man shuts his ears to the cry of the poor, he too will cry out and not be answered.” for that is the way it should be. Why we need to jump to the conclution that the book was inspired/written by god is beyond me. What I do not like is how you need to feel shamed into feeling less then other people as some kind of sinner unworthy of the glory of god. I veiw eveyone as equal and it only takes common sense and a little bit of education to relize that the least amount of suffering to all those around you is in the best intrest for everyone. You christians just want to bring everyone to their knees for your invisible/non-existent god. Who is the better person one who helps and gives to others in fear of your big bad made up god or being swallowed up by satan? Or a person who gives for the benifit of all mankind surley out of the kindness of his own heart to make the world a better place? Thank you Mr. Gleason. You make excellent points and so I apologize if I felt like I was pressuring someone to give. The Salvation Army is the best bang for the buck in my opinion with the highest amount of money going to feed, clothe, and shelter the poor. I agree that we should not just be giving because we claim to be someone or something like a Christian. Thank you for your comment. You make a lot of sense in your post sir. It appears that you have a distorted view of Christianity. The Christian’s motivation is not to “bring everyone to their knees”. We simply want to share the good news that God loves each of us and has made a way that we can have a relationship with Him. It is a good thing that any of us do anything good at all, but the reason we do anything good is because God has put that desire into our hearts. The Bible says that God is love; therefore, there would be no love if it weren’t for Him. I’d like to ask you one question though: Why do you think God is made up? God bless you Darren. Thank you, Jack. You are so right about it being difficult to know who to give to and who not to give to. I mean, we could actually become poor ourselves by giving too much to the poor. This probably is a case where it would be wise to keep one’s heart open to the leading of the Holy Spirit in order to know what to do. Once again, you’re right on the mark, Jack. Thank you Robert. Yesterday we decided that the next time we help someone at our church who needs gas and food, we will go with them to help fill their tank and fill their grocery cart. I think benevolent committees of churches should not just give out cash but must give an account for this is not our money but the Lord’s and we are accountable for it. Do you have an article about this here? So we can clearly see that God calls animal abuse sin. And the Lord God made clothes out of animal skins for Adam and his wife, and he clothed them. 23 instead of worshiping the immortal God, they worship images made to look like mortals or birds or animals or reptiles. 24 And so God has given those people over to do the filthy things their hearts desire, and they do shameful things with each other. 25 They exchange the truth about God for a lie; they worship and serve what God has created instead of the Creator himself, who is to be praised forever! Amen. This what PETA is doing. Thank you very much Gilbirt. I appreciate your kinds words my friend and please do come back again to visit us. Lea, thank you for your comment and question. Sometimes God has to break the pride of a person before the realize that they can only be helped by God. By your allowing her to stay with you while she resists hearing about Jesus Christ and the gospel, you might be enabling her to continue to resist God as long as she has a place to stay and eat. I work with the homeless too, but if they do not take the initiative and try to find work, get a GED, or at least try to make an effort, I help them only so much. The world is not out to get her…she feels like she seems to think she is entitled. When she gets desparate enough, God might finally break her pride because God resists the proud, but gives grace to the humble. Sometimes, as in my and many other Christian’s cases, we had to reach the end of our rope before we cried out for help and that is how we finally saw our need for God and by this, we came to place our trust in Christ to save us. God may be using the homelessness and poverty to draw her to Himself. The way it is going now, it doesn’t sound like she will ever change. Its tough, but tough love is needed. Jack…I have a question for you on tithing? Does tithing always need to be in the form of money? I ask because at the moment, I have no money what so ever and feel horrible about not being able to do so. In my old church, they were very judgemental on tithing 10% in addition to supporting missionaries and feeding the church. I have one income, many times that was cut down to about 60% of normal due to being on disability. While I was going there, every woman was required to prepare a home cooked 3 course meal consisting of main dish (meat), side dish, and a desert! It was to be enough to feed a family and at least 5 more! It had to follow a theme and true left overs were frowned upon, plus you had to follow the set theme so you couldn’t cook what you had at home for the moment. Many times I would work and not get home til midnight, go to the store and be up to 4am, or later cooking. Each meal would cost this single woman $40-$60 a wk. Now that is at, or over my tithing level of 10%. Whenever, I voiced concern about not being able to tith and do food, stating that I was going to just cut back on the meals, or not attend the potluck, so I could formally tithe, I was told I couldn’t do that. Everyone was hurting and it was my duty! So I continued with the meals and with my health, I just started cooking the main meal and buying an expensive desert to fit their standards. I almost always did a main dish and desert minimum but couldn’t always add a side dish. What I spent in church food was more than I had to feed myself. Now, I did give a large check to the church at Christmas and made small offerings when I had it but I was in a bankruptcy at the time. Every Christmas, I also choose somebody within the church who was struggling and bought them Christmas…the whole family. I usually bought a couple of gifts for each, plus provided gift certificates for the grocery store so that person could have a nice holiday meal…This usually cost me $300-$500 and that was my Christmas. Usually I spent Christmas alone as it was rare to get any invites on holidays. I would get a friend of mine to deliver the gifts in secret and nobody else never knew it was me! The cards were signed “In His Name”! It breaks my heart because I can no longer do this and I can’t even afford to feed the hungry people at the grocery stores very often any more…I was told we never know who that homeless person may be…It could be God himself testing us. Therefore you do not ever turn somebody away hungry…I used to give out bibles with the food. Now my old church had no local missions and the only thing they did was door knocking and street preaching. If I told the minister somebody was in need, the response was that if they came to our church we would help but not unless they came to church. They did push constantly for members to dig deeper so they could fund a new missionary overseas, etc. Always reminding us that we should do so without deducting from our tithes to the church. What always bothered me was that the minister got paid from the church nicely, plus he was upper management and ran the branch of the company he worked for locally…His wife stayed home to be a proper Baptist wife, keeping the house spotless, and homeschooling the kids. They owned 2-3 large late model suv’s, a very big and nice hugh modern camper/trailer (5th wheel), a large immaculately decorated home in the mountains, several dirt bikes and an atv like vehical. My minister was not hurting and I doubt he had any idea what true financial hardship was at the time he was squeezing the congregation. When I decided to leave the church after being forced to apologize in order to not be “offically shunned by all members”, (when they brought me up on charges for questioning things as I have previously told you), things got nasty. The ministers wife looked straight at me and told me how bad of a baptist woman and church member I had been…they also accused me of failing to tithe properly, said I never cooked (amazing since I always sent the leftovers home with them, or other church members, keeping nothing for myself), and that my injury and blood clots were a lie and were no excuse for me not being at the new church to help paint and prepare it for the grand opening…I was on ordered bed rest which I disobeyed drs orders just to sit in church on Sundays if I could get a ride because I was forbidden to drive. This church in their mind was more important than my health, or anything else…The treasurer told me that they cleared out everything the church had so it could be prestine within like two weeks of obtaining the lease. They refused to wait and do the job slowly because it was important to have the grand opening so we could invite other churches. It was at that opening I was made to apologize but not until all the guest left! Even though I decided to leave, I still did it because my only family/friends were there and I was told they would no longer be allowed any contact with me if I didn’t. It might be interesting to note that when I left, I lost that contact anyway because they felt I left the one true church and nobody else was following Gods will like they were…They constantly taught that every other local church was being corrupted by the world and that is why we had no socialization or fellowship with any other church before the grand opening. That meeting ended with them placing doubt on my salvation. So, when somebody really has no money, can tithing be done in other ways such as ones time to church, outreach, missions, and door knocking? Was I wrong and should I have let myself become homeless in order to tithe? Also, I know you are a minister who struggles financially and I believe you give much of your income from writting to your missions work…I looked you up online. What is your stance on ministers having that much in worldly goods and then pushing their congregation to sacrifice money they don’t have to support more missions. P.S. There was a lot of pride there with the new church having to look perfect…To me, that is for show so they could look the part for the representatives of the one church that actually showed up…As I was being disaplined and told how bad a Christian I was, I remember thinking of the warning: Pride cometh before a fall! That church still has not grown much the last I had heard…They loose one and gain one! The one church that did had been cut off from other baptist churches for many yrs due to their church practices and had a poor reputation. I am still trying to separate what they taught from the actual baptist faith. The wounds that they created, I am still struggling to heal! Jesus said in Matthew 7:15 “Beware of false prophets, who come to you in sheep’s clothing but inwardly are ravenous wolves.” Why did he say “ravenous?” Because they are hungry for money! Paul warned Titus about this in Titus 1:7 saying, “Since an overseer (pastor) manages God’s household, he must be blameless—not overbearing, not quick-tempered, not given to drunkenness, not violent, not pursuing dishonest gain (getting overpaid). i think this kind of decisions by itself in my understanding very difficult, it seems judgmental, is there any possibility to seat in the seat of God even if the things happened that way, because we are living in this corrupted world. some times we ourselves might created the problem and finally we accused others who are not agree with us.so we have to see the issue carefully and cheek the situation in order to handle it in clear manner, that means, both parties the accused one and the accuser should be present their cases in biblical manner. then it is possible to decide according to bible. bless you. By the way the comments were very interested and teachable that is why i initiated to write. bless pastor and for those who commented it. Thank You Yibo…I understand what you were saying about having to look at ourselves and be honest about whether or not we have had a hand in the situation. In this case, I was a single woman in a church that held little value for single woman. Woman had no voice in the church…couldn’t teach, couldn’t vote, nothing but be a good wife and mother. The majority of its small membership were new converts…I was raised Christian since birth. I tried to sit back and play dumb. When I noticed scriptural discrepancies, I went to a male friend to voice my questions and concerns. Later I voiced a few even to the minister. All I ever got was that it was the Baptist way…Now I know that is not true…It is just their controlling way based on a specific doctrine created by a controlling baptist minister several yrs ago. My new Independant Baptist minister says unfortunetly this growing sect is doing a lot of damage to the faith! A visiting missionary from the old churches mother church confirmed this and told me it was why he and his wife left the founding church also the previous year. The minister who started this movement apparently promoted that it was biblical to beat down your wife if she didn’t submit to your every word! My old church hadn’t gotten to preaching that yet but I was told once that one of our members had asked if she could divorce her husband as he beat her and she was told no! Basically it was her fault for not being a better obidient wife! They really wanted married woman pregnant and at home serving their husbands fulltime. Kids were better off homeschooled and they pressured woman to pull their kids out of public school! They beat into us for over a year, every week, the womans lesson which was a sentance from and about the Proverbs 31 woman! Men and woman had differant bible studies and lessons. I sort of reached a breaking point when I was injured and my minister was not there for me, saying I was lying and not injured. I had life threatening blood clots and a severe injury which later required major surgery and disability. So I went to the woman with my concerns and they went to their husbands, who went to pastor. The thing is what I said was twisted greatly…you know how stories change person to person. The pastors believed it came from the men and therefore they must be right and I must be lying and trying to cause trouble in the church. All I was asking is how was punishing me for being single biblical…Why am I excluded from church events even from day one? Why was my pastor never around when I was shut in due to injuries and illnesses. I had had 2 surgical proceedures prior and was shut in for wks to months but my minister didn’t check on me, and nobody really came by! This latest life threatening injury was not the first time! Was there something wrong with me that I deserved to be treated this way? I was raised that your church was your family and that means they are there when your sick, or in need! They never did answer that question but threw back untruths about me that hurt! It became clear why that church stays about the same size…for a church that is almost 8-10 yrs old now, they loose people and gain about what they loose. A church that age by now should have more than about about 6 families, some senior and some with kids, and 5 singles! If God is blessing them, they should have grown much faster. They said it was Satan attacking us because we were the only church in the area not corrupted by the world, teaching the true gospel…That if we were not doing Gods’ work, he wouldn’t be attacking us, so not to worry about the slow growth because we were a new church not afraid to stand in Gods’ word. They would laugh that other churches called us a cult and joke about passing the cool aid! I now know they are not a cult but they have cult like tendencies! Either way…I was single and therefore a threat to married women, or I was a threat because I do not blindly follow and asked questions! Thanks to Pastor Jack and this site, I can show what I know about the bible and theology without somebody trying to silence me and tell me it is not my place as a woman! I am finding my voice again and even though I hate the spiritual attacks that come with counselling, I am doing that again! I was always the one since I was a teenager, to whom people brought their problems and asked for counsel from. In that church, they don’t believe in christian counselling in general, or psycology and meds. There untrained men and the undegreed minister are the only ones allowed to counsel and they know the bible for the most part but lack compassion and understanding of mental illness and psycology! I would never have been allowed to counsel anybody, in fact when I ran into somebody once, I mentioned what God has made clear to me about counselling and wanting to go back to school for it…The response was that I should remember my place as a woman! Yes woman should not be the minister…The head of the church! We can be many other things however, from missionaries, teachers, leaders of outreach ministries…these are all support roles under the minister and the elders but important to the church too! They forgot that God made woman natural teachers…who taught the minister when he was young? Most likely a good portion of his early Christian education came from his mother, especially if she was a homemaker! Without her careful biblical training one could ask if the minister would have grown up to be a minister, or not? Yes woman should submit to their husbands but husbands are to charish/honor their wives! Beating a woman is not guiding your family, or honoring her! Amen Cat. Men are to cherish and honor their wives and love them as Christ loves the church, giving His life for her, so there is NO room for men to beat a woman. That is a criminal offense punishable by jail and fine, and rightly so. Thanks Cat. Thank you what you have said and clear explanations of your background. I think it is a place of learning one part but also a place of correction in both sides as a commentator and counsel e too. My intention was to be conscious in some of the things and see in biblically. I am sorry if I may hurt you. Be blessed. We are in one body so I will pray for you do not worry. God is justice even though we are not. He sees, not as we see. Every thing in controlled by God.bless you. hello dear sir i have see many christians brothers and sisters here for help to poor christians dear iam from pakistan and iam live in a small village and i wasna say u here in my village have many so poor christians and they r waiting for angel who will come here and help to us dear brothers this message from all poor christians to christians brothers and sisters plz take out us in this situation i know god will help us and plz contect with me so i will show u whats here situation about christians peopel i know after see u will cry becoz all here christians is so hungry poor and need a help to chrians persons. I am pleasured to find your contact today from your web page after prayerfully studying and reading it.It is my pleasure to inform you that have gone through infact it has touched and trilled me very much, i therefore make a humble request that please you may allow me to partner with your ministry. I see if we partner together with you, we will do much work and restore more non_ believers into the kingdom of God.I introduce my self, i am pastor Zephaniah from western region of kenya in Nairobi city, nyanza province kisii region. I found Omorigamu village, Gucha district. I also bring to your antention that beside the church, I take care of destitutes, less fortunate and total orphans who are under my care. God bless you and guide you as i wait from you soon. oly greetings in the above name of Jesus Christ. We have gone through your website and seen the wonderful work God has given you to fulfill for His Kingdom purposes Glory and blessings to our almighty God Amen! In want a friend ..
Michael, I see that you are a Christ follower and so I will pray that God opens a door for your employment. I wish I could personally help but when we can’t do anything else and all we can do is pray to God that is the most we can do and depend fully on Him. Others, after reading this, please join us in praying for or giving help to Michael and in the Mighty Name of Jesus that this Name be glorified, amen. Here says “might” not will become rich. James 5:1-3,5 (TEB) And now, you rich people [see James 2:2-7], listen to me! Weep and wail over the miseries that are coming upon you! Your riches have rotted away, and your clothes have been eaten by moths. Your gold and silver are covered with rust, and this rust will be a witness against you, and eat up your flesh like fire. You have piled up riches in these last days… Your life here on earth has been full of luxury and pleasure. You have made yourselves fat for the day of slaughter. What did Jesus say to rich young man? I think the Proverbs 21:13 verse you referenced “If a man shuts his ears to the cry of the poor, he too will cry out and not be answered” speaks volumes about the importance of giving. It’s unfortunate that we have such poverty in the world but it’s up to all of us to step up and do our part to help those suffering. While many people are generous during the holidays the need is there all year round. Amen Tammy…you are so right. I think that there is so much poverty that we feel we can’t do anything so we do nothing but we can help at least where we live. I agree…the holidays are not the only time to give but we should be giving all year long. Great point and thank you for your kind-hearted response. I covet such women of faith in the church where I am the pastor at. May God richly bless you for your generous spirit. I MASOOD a resident of India Jammu and Kashmir. I am a former Muslim and belong to a tribal community a nomadic tribe GUJJAR. I live in a place where Christianity ‘s name is also considered a crime and is punishable by death Here is the rule of Islamic terrorism۔ But by the grace of God I established a secretly hidden church here at my home. I was accepted Jesus as lord savior in 2007 then I was the alone christen in my whole community. but now god opened the eyes of my few friends of my community. and now we are 30 believers of 5 families. god has given me the chance to serve him as shepherd of his Sheeps. Recently I Started a church at my home where we get an Opportunity for fellowship daily from 6pm to 8pm where we pray together read bible and share our Spiritual experiences. But my house is very small I have only a single room. So we need a rental house for this purpose in this regard we need 6000 Indian rupees = 100 USD per month we are unable to arrange this. so please pray for this may God open some one’s heart to help us. I will do so and pray for and your ministry and pray that God strengthens you during these difficult times. I ask others to join with us to pray for Masood and his area and the villages. In the month of september 2014 continuous rain has caused several rivers in the Kashmir region in Northwestern India to rise above danger mark and forced people to evacuate. Water has breached embankments in many low-lying areas in the Jammu and Kashmir region of India due to continuous rain since the beginning of September. 15 districts are very badly affected, submerging 350 villages and affecting more than 2500 villages. Two main hospitals and many villages in the area are submerged in water, food rations and emergency shelter are some of the essential things needed to protect the people. What a blessing this article is! It really hits home. I pray that God will bless me with abundance so that I can give to those who are poor. Definitely have been knocked to my knees and totally dependent upon the Almighty! Thank you Donna for your kind remarks. They are very encouraging and may God richly bless you for your heart for the poor. Thank you Mamadi. That is a very kind thing to say and for people of faith who are so encouraging, like you, that is a blessing and may God richly bless you my friend in Christ. I had to discuss “is it imperative for christians to care for the poor. I will love to work with you as a team in the ministry. I Cry to God every day to show me the way and also to give me a New Grace to help!! Hello Mr. Reed. Count me among those praying for you sir. Love that you have a passion for the lost. That is priceless! Hi.I need your help .I live with children in Ukraine, and we are a little bit complicated, could not your team to send us any assistance, the notebooks,pencils,toys for children that would please them.Thank you so much.My address: Ukraine, Zhytomyr region, Berdichev 13300 city street materialna 22, Pichkur Anastasia. Hello Anastasiya. I am sorry but we are self-supporting and are not able to help you. I would say if God desires this ministry of yours to work, He will provide the means. Hello friend. Our ministry is self-supporting and we are not in a position to help you because our ministry does not have any funds to help you. We do not recieve outside funding for these things, so we cannot help you financially. Next post: Why Do Christians Suffer? Is This God’s Will?